Questions In A Box | A FREE app to get the conversation started! A free app to get the conversation started with family, and friends, neighbors using fun questions! Version 2 now availabe! Choose from 1 of 4 categories of questions, and swipe! It's that easy! 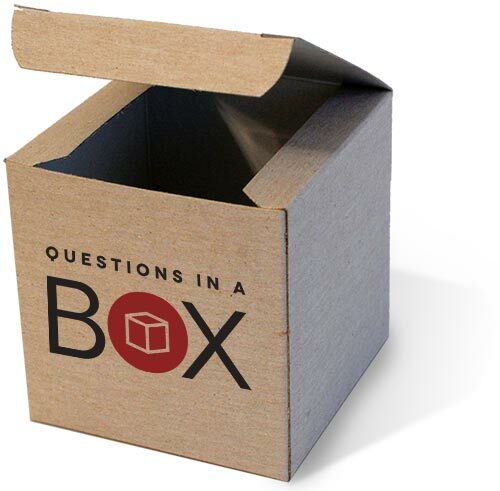 With the radical decline of personal conversation in our society, Questions in a Box aims to bridge the gap of that lack of personal interaction by giving you fun and natural conversation starters that you can use with anyone. Simply select your category, swipe the screen, and get the conversation started today!